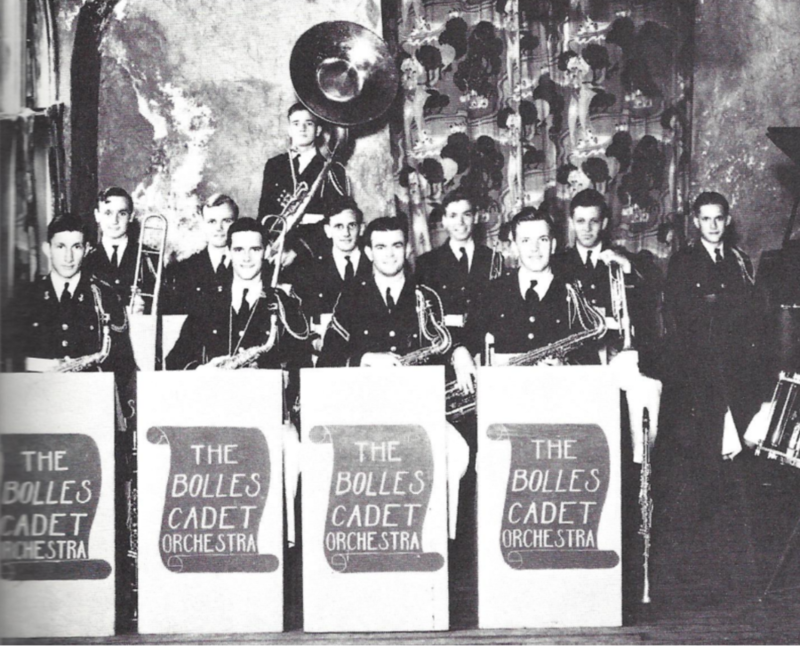 The Arts have been an important part of the Bolles culture from the time it was a boys military school. Under the direction of Arthur Carnes, the program became formally recognized with the creation of the Phoenix Society in 1967. Since then, the programs in drama, chorus, band, visual arts, and dance have flourished and the department now has 19 teachers. The Arts have offered a wide variety of opportunities for students with different passions and interests. Mrs. Laura Rippel expressed her opinion of how the arts program would evolve in the future. “As education and pedagogy changes with our rapidly changing job market, collaborative, creative thinking is at a premium”. To celebrate this 50 year milestone, here are 50 fun facts from the teachers of the fine arts department. – Arthur Carnes founded the Bolles Fine and Performing Arts department in 1967. – When you get inducted into The Phoenix Society, The Bolles’ arts honor society, you get a baseball hat with a Phoenix on it. – Bolles hosts over 40 arts events on all four campuses each year. – Bolles first art room was on the second floor of Ulmer. First door on the right because …Only room with a sink. – Mr. D and his wife both performed in plays staged by Arthur Carnes. -The current Whitehurst fifth grade are published song writers, with their song Peace in Any Language printed in the Music K8 magazine. – Whitehurst has introduced steel pan as part of a focus on world drumming. – One year, Whitehurst used robots and bottles to play a rendition of We Wish You a Merry Christmas. -Maggie Vance is taking the band to New York this Spring Break. – Mr. Anderson (former principal at Bartram) used to be the Band director! – The band has 6 tuba players! – In high school, Maggie Vance was recorded playing trumpet on a Reggae album. – Vance has toured France, watching artisans manufacture high quality clarinets, saxophones, trombones and euphoniums in instrument factories. – Former Chorus President and Musical Theatre alum, Alexandra Demetree, is a recording artist with SSM records in Nashville. – At the “Wings to Soar” Bolles Campaign, former First Lady Barbara Bush kissed Rachel Clifton while thanking her for the song. – The video game Skyrim was voted No. 1 in Good Game‘s top 100 and No. 1 in PC Gamer‘s “The 100 Greatest PC Games of All Time”. Bolles Chorus and Musical Theatre alum Shane Liesegang wrote “The Elder Scrolls” for Skyrim. – Rachel has taught elementary, middle school, high school and college music courses, including serving as an Artist in Residence at Jacksonville University. – Composer Marvin Hamlisch (A Chorus Line) congratulated Rachel in his studio after she improvised material with him on stage with the Jacksonville Symphony Orchestra. – Rachel was pianist with the Jacksonville Symphony Orchestra’s CD recording of Carmina Burana. – Rachel and Angela Blackledge worked together in the musical Anything Goes at both Jacksonville University and Bolles. -Rachel accompanied legendary dancer Jacques d’Amboise in a dance master class for public school children from throughout the city of Jacksonville. – The first chorus practiced in a red tin shed behind Ulmer hall before a proper music building was built. -first location for Dance Classes at Bolles was Cain Gym. 1993-1995. – 1994 was the first San Jose Campus Musical, Peter Pan. Performed at Florida Theatre. Prior to that there were plays but no musicals. With a grant combining science with Tinkerbell and defying gravity in flying to Never Never Land, Peter Pan also performed for over 1000 public school children. – Angela Blackledge was Assistant Choreographer, Dancer, and the part of “Minnow,” for the West Coast Production of “My One and Only.” Starring the famous Tap Dancer, Arthur Duncan. – Bolles used FLYING BY FOY for PETER PAN the same company that flew Mary Martin on Broadway and on the annual television broadcast! – Mr. Smith has been teaching at Bolles for 40 years! – Lil Abner was produced using a live donkey, live pig, a goat and trained chickens! – Under the direction of Michael Fritton the Bolles Fine Arts Dept. collected folktales from the British Virgin Islands and in conjunction with the newly formed BVI drama society performed this original musical in both locations (USA and BVI) with a cast of actors from both nations! – DeWitt Cooper Performed in In The Heights on Broadway as well as roles in the musical Finding Nemo, West Side Story, Anything Goes and Ain’t Misbehavin’. – DeWitt Cooper was the first African American Mae to be admitted to FSU’s musical Theatre BM program. – Mr. Fritton has taught here for 25 years! – Mrs. Gonzalez used to be a chainsaw carver, welder and custom furniture maker. – Mr. Smith created over 800 miniature works of art to create the interior of a steam punk inspired restaurant Goozlepipe & Guttyworks. – Mr. Smith who hangs all our student Gallery exhibitions was once employed as a professional window dresser in NYC. Mr. Bied was also a professional window dresser but in Honolulu Hawaii. – Mrs. Gonzalez’s classes once brought in rabbits and chickens for students to photograph, draw and paint from. – Megan Leonard, sister of Coach Leonard at Whitehurst once starred on or stage as Glenda in the Wizard of Oz. You can now see her performing alongside John Travolta in the major motion picture “Gotti” in theatres in December! – Since graduating George Scribner class of ’70 has had a long career as a Disney animator, feature film director and imaginer! If you have ever enjoyed Mickey’s Philharmonic, the Mexico Ride in Epcot, the film Oliver and Company… and many more, you have enjoyed the work of George Scribner!